It's that time again! Who brought it? These fine thespians below did! 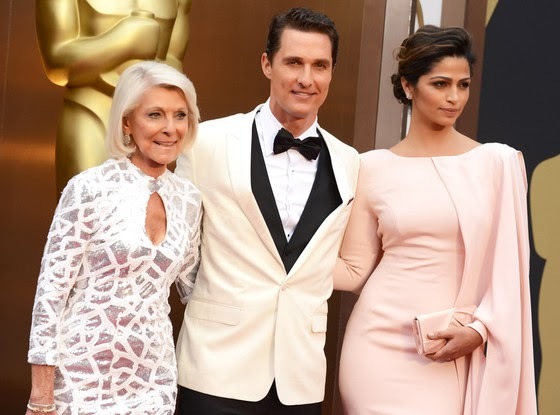 Matthew McConaughey, wife Camilla and mom Mary. Gorg color palette! I love a white jacket. My fashion fave, Lupita Nyong'o, in Prada. #1 Stunna! Kerry Washington nailed it in Jason Wu. And what a great lip!And romantic hair. Cate Blanchett in Armani Prive. I love a golden blonde in a golden dress!